3 1/2 inch overall. 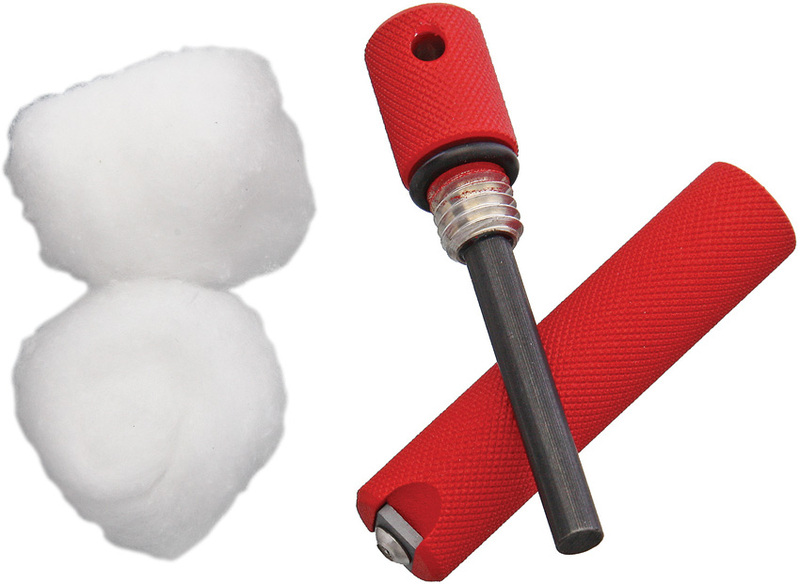 Rescue red knurled aluminum casing with composite flint steel magnesium rod that is easy to use and provides tremendous fire starting power. Features an O-ring channel that will prevent the O-ring from sliding around. Built-in 440C stainless striking blade can be used as a life saver if separated from knife or pack. A must have for outdoorsmen, campers, hikers, hunters, kayakers, pilots and fishermen. Weighs only 1.6 oz. Bulk packed.